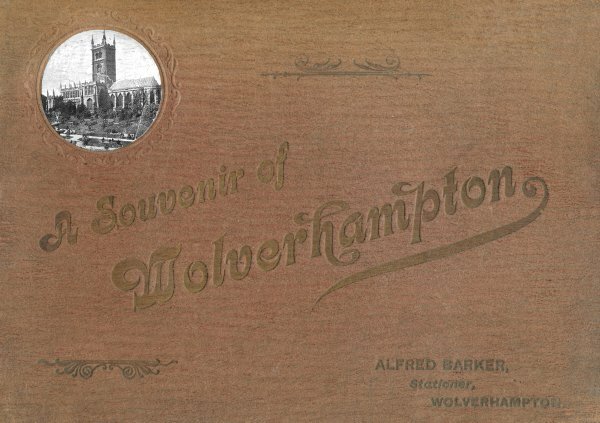 Alfred Barker was a stationer with a shop at 14 Queen Square, Wolverhampton. The shop opened in about 1900, next door to The Midland Cafe, run by John McGregor. It later became the fondly-remembered Lyons Cafe, run by J. Lyons & Company Limited. Barker sold stationery, including Swan fountain pens, a wide range of books from children's books to novels, postcards which carried his name, and a series of maps such as Barker's Cycling, Touring, Driving and Hunting Road Map. In 1902 he published a book of local photographs called 'A Souvenir of Wolverhampton', presumably aimed at the many visitors who were expected to flock to the town to see the financially unsuccessful Art and Industrial Exhibition. Many of the photographs in the book were taken by the well-known local photographer Bennett Clark. 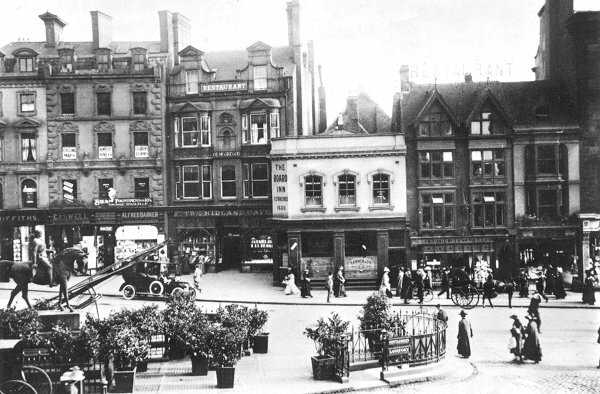 The Queen Square shop survived until around 1950, after which it was occupied by the Halifax Building Society. 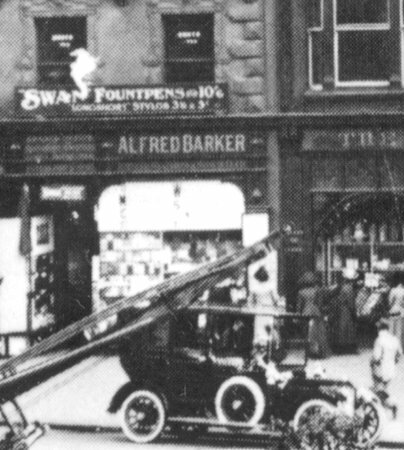 Barker's shop on the south side of Queen Square is behind the parked car. Photo courtesy of Eardley Lewis. A later view of Queen Square. Barker's shop is on the extreme left. Photo courtesy of Eardley Lewis. 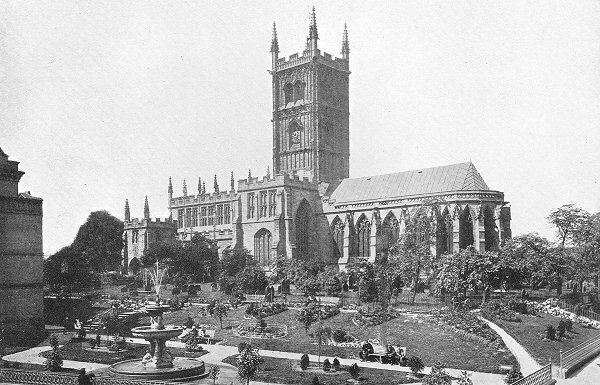 A fine view of St. Peter's Church and St. Peter's Gardens which were laid out in 1883. The gardens were later extended to cover much of the graveyard which can be seen in front of the church. The photograph was taken sometime between 1898 and 1902 because the old exchange building (demolished in 1898) is not in the background. A view of North Street with the Town Hall on the left and the retail market on the right. On the extreme right behind the people is the public drinking fountain which was on the market wall. All of the buildings, except the Town Hall were demolished in the 20th century. 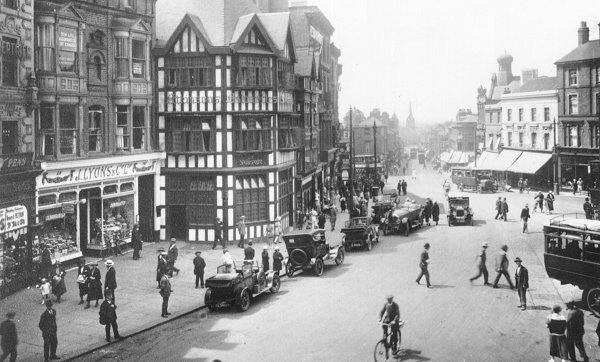 On the left, at the far side of the Town Hall is Corporation Street. The building with the large sign on its end wall houses The Empire Fruit Stores that specialised in home grown fruit and vegetables. 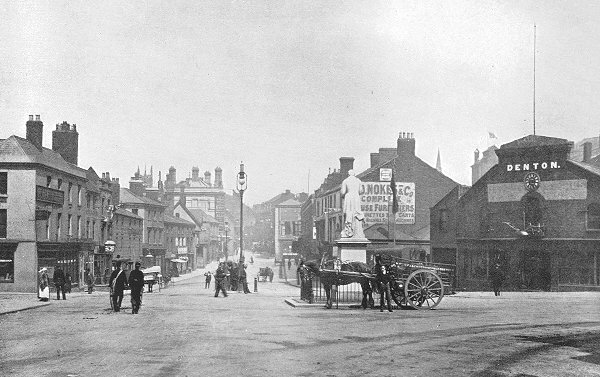 In the distance is the Old Mitre Inn Temperance and Commercial Hotel, and E. Jessop's hotel and restaurant. 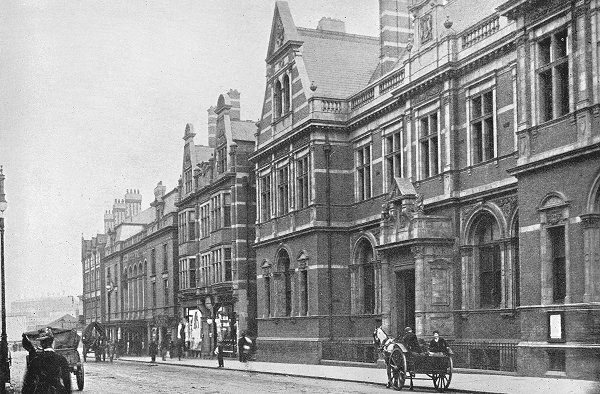 The new post office in Lichfield Street which opened on 29th March, 1897, now known as 'the old post office'. In the distance is the Grand Theatre, the Victoria Hotel, and Victoria Square. The old post office was no longer needed after the opening of the modern post office in Lichfield Street in 1965, and the subsequent opening of sorting offices in Horseley Fields, Whitmore Reans and Wednesfield. In the mid 1980s the building was acquired by a Walsall firm of property developers, and redeveloped for use by Wolverhampton Polytechnic (now Wolverhampton University). Laboratories, class rooms, lecture theatres and offices were installed in readiness for the occupation of the School of Health Sciences, which moved into the building towards the end of 1987. The university continued to rent the property until 2007. At the time of writing this article (mid 2013) the building is still unoccupied. 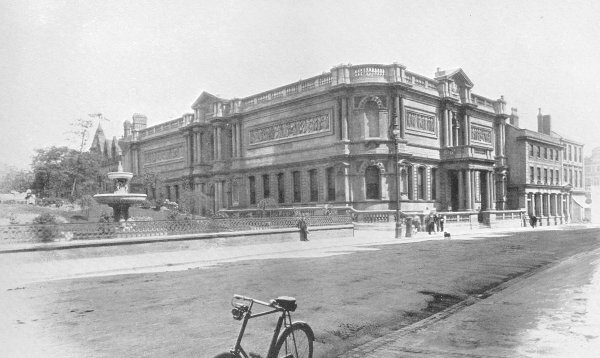 The Art Gallery which opened on 21st July, 1885. Just visible on the extreme right is the Royal London Building, which opened in 1902. 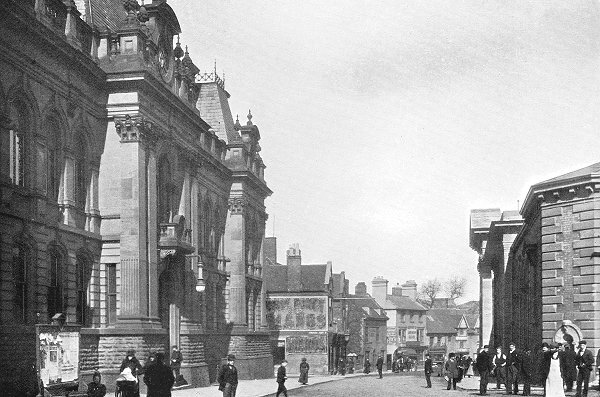 The two buildings on the right of the art gallery were replaced by the Midland Bank in 1910. 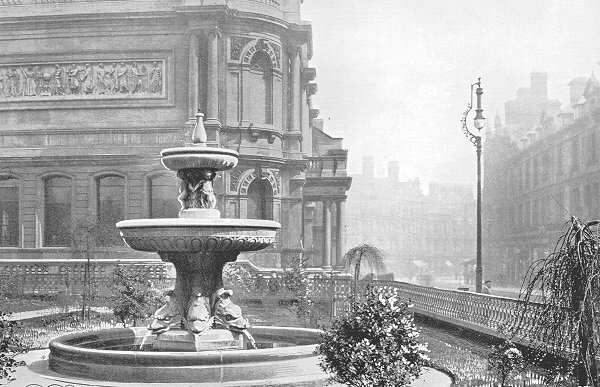 The Horsman Fountain next to the art gallery was built as a memorial to Philip Horsman who died on 14th December, 1890. The unveiling ceremony took place on 23rd May, 1896. Building contractor Philip Horsman became a wealthy man and an important local benefactor. His company built the Town Hall and the Art Gallery. He gave £8,000 towards the building of the Art Gallery, and £5,000 towards the building of the Eye Infirmary. The fountain carries the following inscription: "This fountain was erected by public subscription in grateful recognition of the generosity of the late Philip Horsman, J.P., who presented the adjoining art gallery and other philanthropic gifts to the town". 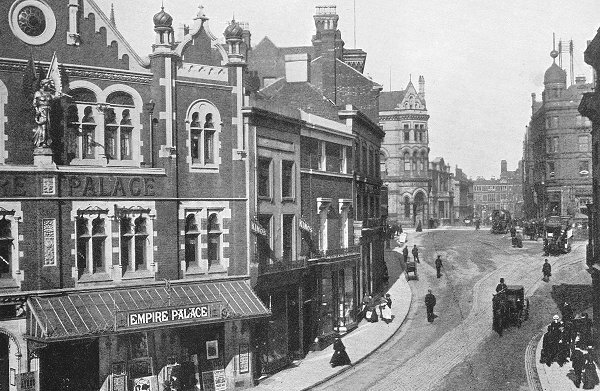 A lovely view of a quiet Queen Square with the town's variety theatre, 'The Empire Palace of Varieties' on the left. 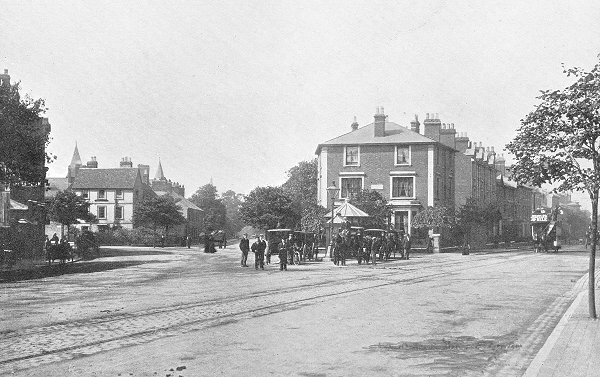 In the middle distance on the right is a horse-drawn tram about to set off to Newbridge, via Darlington Street, Chapel Ash, and Tettenhall Road. Looking into Cheapside, towards St. Peter's Church from North Street, between 1898 and 1902. 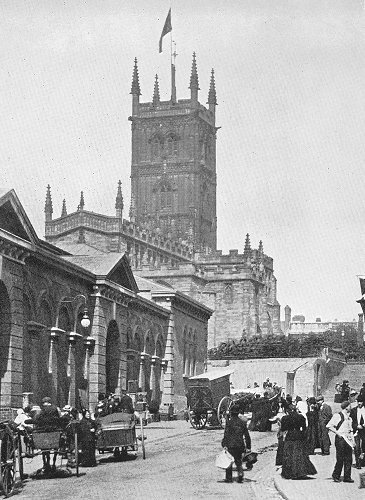 The empty space in front of the church had previously been occupied by the Exchange Building, demolished in 1898. On the left is the retail market with its impressive Italianate classical façade. It had been built at a cost of £30,000 and opened in March 1853. After just over one hundred years of use, the well-liked building closed with the opening of the new retail market in June 1960. Sadly the fine building was demolished in January 1961. 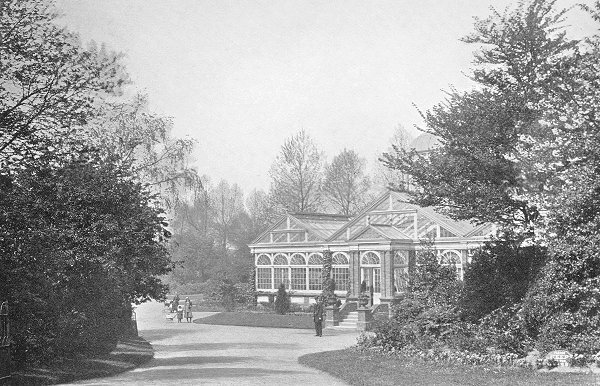 The conservatory in West Park which would have been quite new when the photograph was taken. It was built from the proceeds of the town's Floral Fete, and opened on 8th July, 1896. 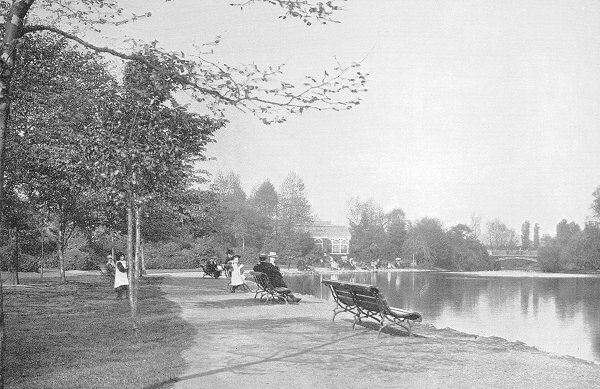 A fine view of the lake in West Park, sometime between 1896 and 1902. The park was relatively new at the time having opened on 6th June, 1881. Looking along Snow Hill towards Dudley Street, where the Wulfrun Centre now stands. The statue carries the following inscription on the front: "Charles Pelham Villiers, PC, MP, Born 3rd January 1802, died 16th January 1898, aged 92 years". The inscription on the back is as follows: "This statue was erected by public subscription in recognition of the eminent services rendered by Mr. Villiers to his country, especially in connection with the repeal of the corn laws. He represented the Parliamentary Borough of Wolverhampton in the House of Commons from 1835 until the division of the Borough in 1885, when he was returned for the South Division, which he represented until his death." The western end of Chapel Ash and the horse-drawn cabs, the taxis of their day, that stood around the shelter. On the right a horse-drawn tram makes its way into Chapel Ash from Tettenhall Road, on its way to the terminus in Queen Square. 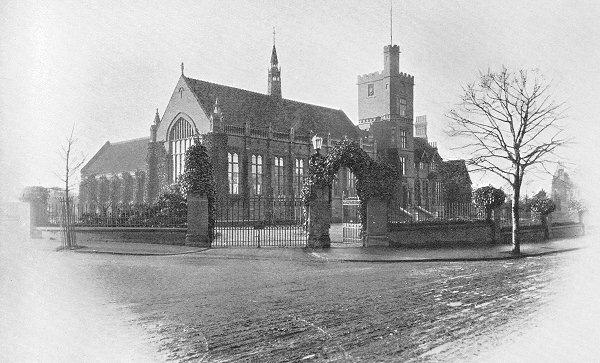 Wolverhampton Grammar School on Compton Road, built in 1875 and extended in 1890. 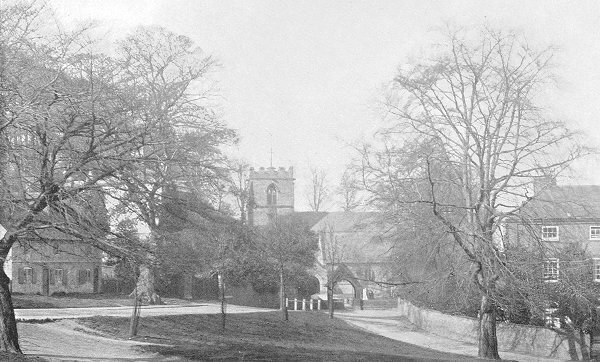 Looking south eastwards along a quiet Tettenhall Road from Newbridge towards St. Jude's Church. 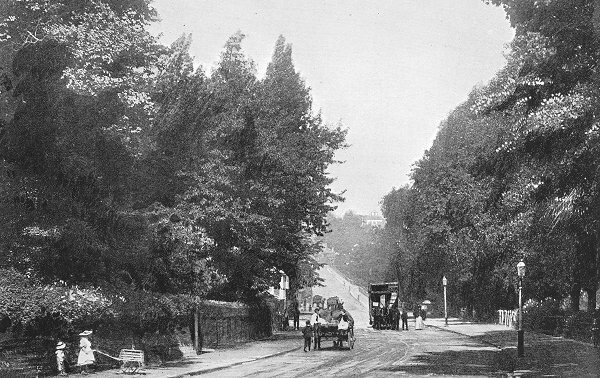 A view of Tettenhall Road from Newbridge looking towards The Rock. In the centre is a horse-drawn tram starting its journey to the town centre. The horse-drawn trams terminated at Newbridge because they were unable to climb The Rock. 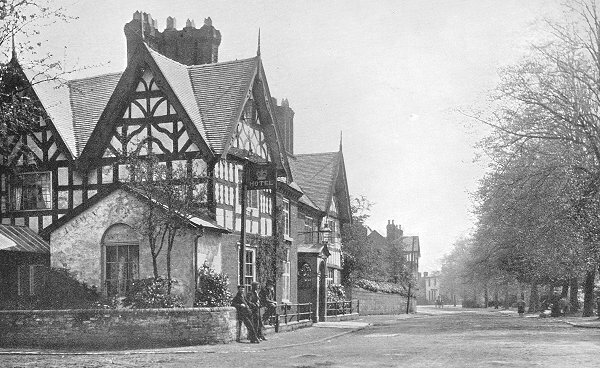 Lower Green, Tettenhall with two lovely houses in the background known as 'The Green House' and 'The White House'. 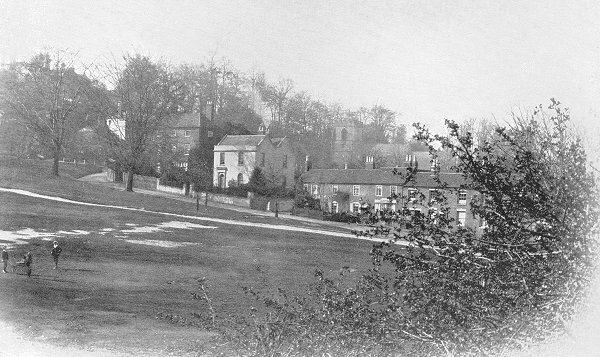 Looking from Lower Green, Tettenhall towards the Lich Gate and the Church of St. Michael and All Angels. 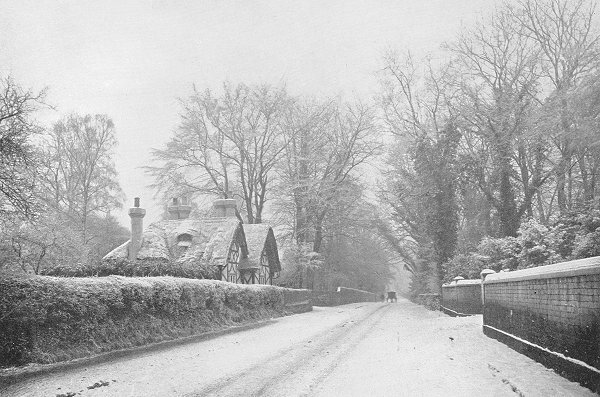 Wood Road, Tettenhall in winter, and the lodge to Tettenhall Wood House, known as Wood House Lodge. 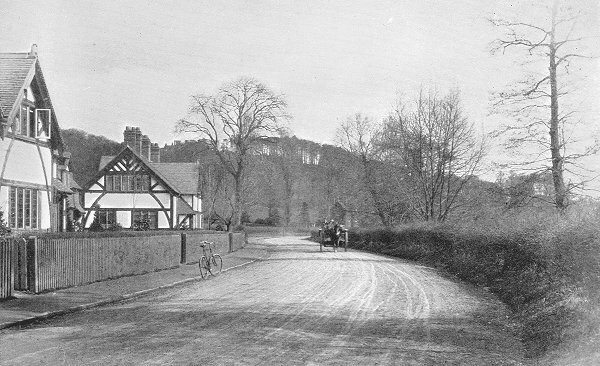 Bridgnorth Road at Wightwick looking towards Compton. 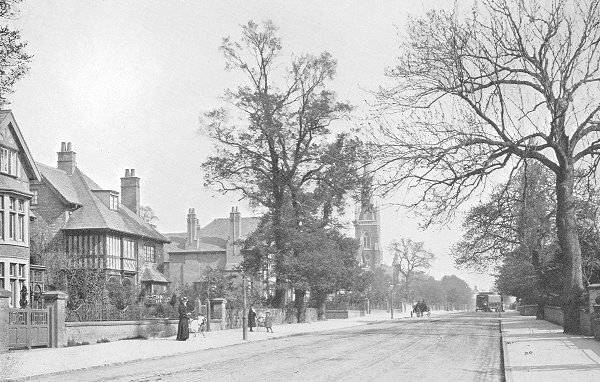 The photograph was taken about fifty yards from the modern traffic lights by The Mermaid pub. The houses on the left look much the same today. A view of 'The Crown' pub in High Street, Albrighton. 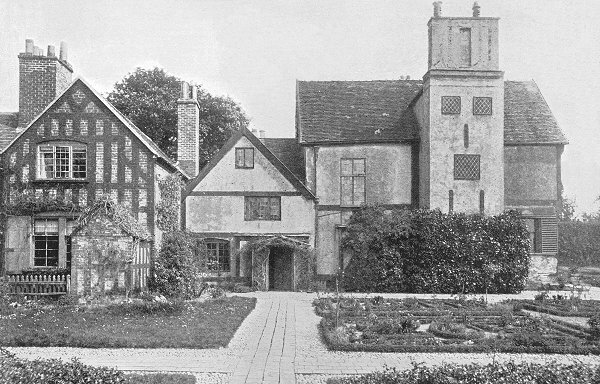 17th century Boscobel House, famous as a hiding place for King Charles II during his escape to France after the Civil War.